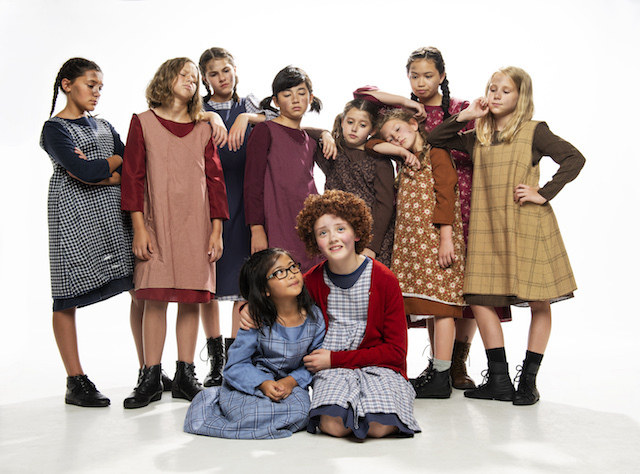 Align Entertainment presents the cheerful escapades of little orphan Annie from February 1–16, 2019, at the Michael J. Fox Theatre in Burnaby. Align Entertainment’s Annie. Photo by Emily Cooper. Several cast members will be making their Align Entertainment debut, including the bright-eyed Camryn Macdonald (Veruca in Delta Youth Theatre’s Willy Wonka Jr.) in the role of Annie and Arne Larsen (Dom Claude Frollo in Secondary Characters’ The Hunchback of Notre Dame) as Oliver Warbucks. Erin Matchette (Mrs. Schwartz in Align’s A Christmas Story) will play Miss Hannigan, and Laura Cowan (Fairy Godmother in Theatre Under the Stars’ Cinderella) will be Grace Farrell, Warbucks’ assistant who first finds Annie. Finally, the role of Sandy will be filled by a real dog that will be cast this month. I have a pair of tickets to give away to opening night on February 2nd at 8:00pm. Follow Align Entertainment on Facebook, Twitter, and Instagram for more info. I will draw one winner at random from all entries at 12:00pm on Wednesday, January 30, 2019. UPDATE The winner is Dani! Kids would love to see this show! They know all the songs! I have a red head that I would take to the show. Align Entertainment always puts on a great show!! Tomorrow tomorrow I love ya! My son would absolutely love this! He a huge musical theatre/Broadway show fan. Looks like a super fun way to spend an evening with my daughter! Would love to take my daughter!! My kids and I would love it! This was my favorite movie as a kid. I would love to see this! It’s the favourite of someone I know! I would love to see Annie! Thanks for the post. Would love to see Annie. Annie is the greatest music! My 4 yr old grand daughter makes me laugh with her natural ability to be dramatic and theatrical. She would be enthralled with this show. I’d love to see this show.